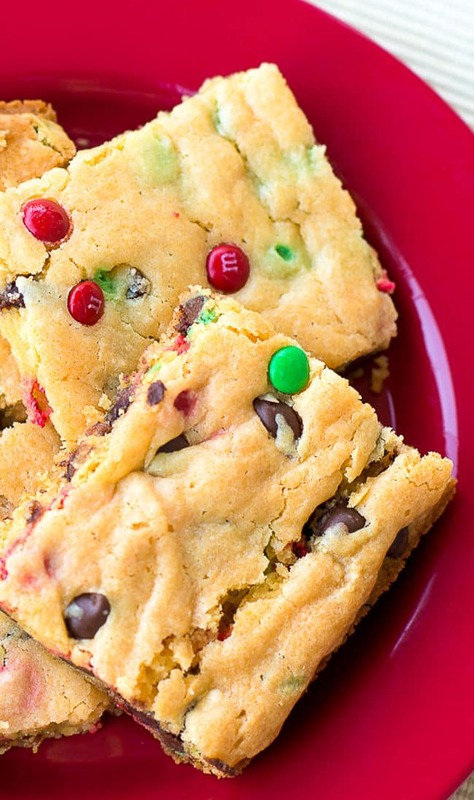 My cake mix cookie bars are my number one go-to easy dessert recipe. 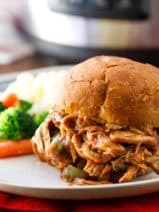 This recipe is one of the most loved on my blog. Don’t miss it! Many years ago, my mother-in-law introduced me to using cake mixes to make cookies. Mind=blown! 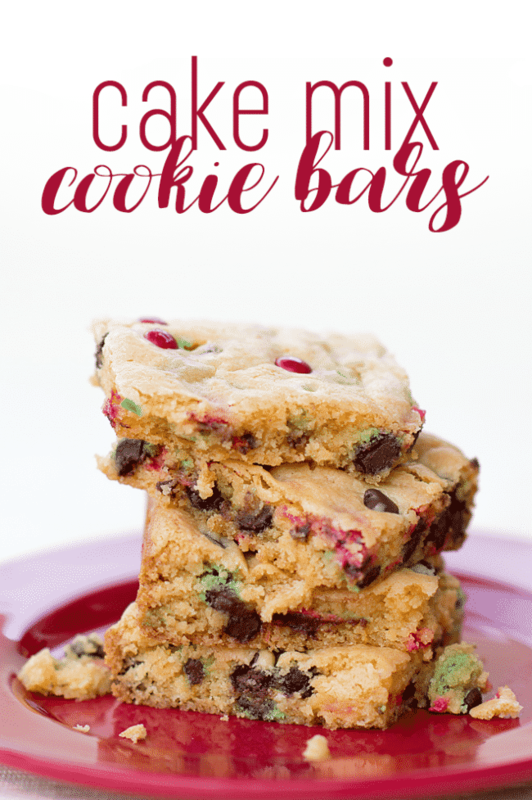 After poking around the web for a good cake mix cookie bars recipe recently—because I heart easy recipes—when I came across a great cake mix cookie bars recipe on Southern Bite called The Easiest Chocolate Chip Cookie Bars Ever. 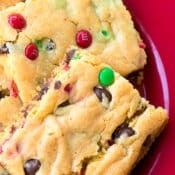 It’s true, this recipe is dead simple, and you’ll end up with soft, golden, ooey-gooey cake mix cookie bars chock full of chocolate chips and M&M’s. Seriously, these are crazy good. I mean, come on. Look at these photos. It literally took me like 5 minutes to dump a few simple ingredients into a bowl, pour it into a baking dish, and throw it in the oven. I am an instant gratification kind of girl, and while I enjoy baking, I don’t have the patience for anything really fancy. I wish I did! These cake mix cookie bars would make an excellent addition to a holiday party, especially if you’re crunched for time and want something warm, chewy, and delicious with very little fuss. I have to admit, I could tell these cake mix cookie bars were going to be heavenly just by the way the batter looked and smelled. The batter was golden, and the bright holiday M&M’s looked like a smattering of twinkling festive ornaments in the bowl. Of course, after the holiday season, you could use just plain chocolate chips, regular M&M’s or even mini peanut butter cups as mix-ins. Your options are really endless with this recipe. I’m a fan of soft and chewy, but you could bake these another 10 minutes for crispier cake mix cookie bars. 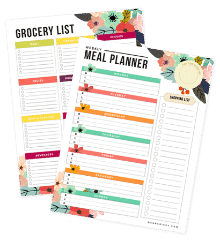 Before you run off to pin and print this recipe (which you totally SHOULD), I can’t let you leave before I send you over to my special chocolate raspberry bars and my chewy pecan pie bars! 1 Cup chocolate chips. I used 1/2 cup holiday mini M&M’s and 1/2 cup milk chocolate chips. My daughter and friends love these. It’s a fun sleepover favorite! 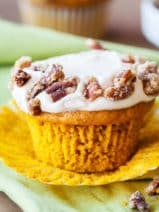 I’ve made these 4 or 5 times, and they are a huge hit with everyone. Someone always asks for the recipe. 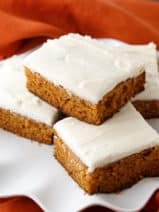 I’m making them for a Thanksgiving dessert this year. They’ve become one of my staple easy sweet treats. Thank you so much for the recipe! Good to know! I just used a GF mix & was hoping it would work. Only had chocolate pudding, ha ha, so I might as well have used a chocolate cake mix. Sorry…..another question do you combine just by stirring or use a mixer?? How do you store them? Just countertop and covered? 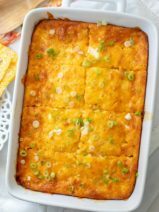 This has become one of my ‘go-to’ recipes when I need something easy but delicious! People ask for the recipe whenever I bring it to a party. 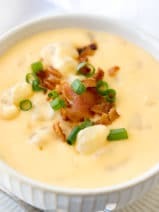 I’m making it as I write his for a bbq today. I make the recipe Exactly as described here. Thanks!! Thank you so much for leaving a review, Jennifer. Glad you love them!! I just made these substituting a chocolate cake mix and chocolate pudding….my family loved them and they were so very easy! This was awesome the whole family loved it. Thank you from an overworked mom who doesn’t bake often because it’s such a chore….my poor kids. But now I can do this, and other variations: Chocolate cake with white chocolate chips or nuts, Lemon with poppy seed and orange zest…..